Dev Hynes is the man behind the moniker Blood Orange. Mr. Hynes is a British singer-songwriter, composer, producer, and author, that also uses the moniker Lightspeed Champion. 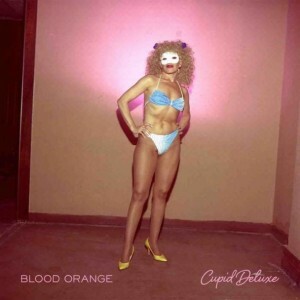 Blood Orange is his latest musical project that focuses on electronica. Dev has released two studio albums; 2011′s Coastal Grooves and 2013′s Cupid Deluxe. Despite being released in late 2013, his sophomore album was highly regarded and recognized on many top albums of 2013 lists. Cupid Deluxe has spent the majority of January 2014 at the top of the college album charts. The single “You’re Not Good Enough” is currently in heavy rotation on indie radio, check it out below. For those that enjoy fun facts… Mr. Hynes was once a member of the band Test Icicles. Those dudes only released one album, 2005′s For Screening Purposes Only.